At the end of March 2012 there were 77 foreclosure, preforeclosure & short-sale properties listed in the Lake Norman area, a 40% increase from the 55 foreclosure, preforeclosure & short sale properties for sale in February. Prices range from $39,000 to $5,900,000 for a waterfront home in Mooresville. 21 foreclosure/short sale homes closed in March 2012. This was an increase of 50% from the 14 foreclosure and preforeclosure homes sold in February. The average home sold was a 4 bedroom/4 bath with 3,677 square feet and an average sale price of $471,226. The average sales price increased 155.6% from the previous months average sale price of $184,431. The average days on the market were 164, a 54 day increase from February. 31 foreclosure and short sale properties are currently under contract, a 47.6% increase from February. At the end of March 2012 there were 8 foreclosure, preforeclosure & short-sale Lake Norman area condo/townhome properties listed, a 33% decrease from the 12 foreclosure, preforeclosure & short-sale properties listed for sale in February. Prices range from $100,000 to $295,000. The average unit is a 2 bed/2 bath with 1,295 square feet and an average list price of $176,987, down 14.4% from February’s average list price of $206,658. One foreclosure, preforeclosure or short-sale condos/townhomes sold in March. This was an decrease of 0% from the one foreclosure, preforeclosure or short-sale condos sold in February. The average sales price in March was $92,000, down 17.9% from the February average sales price of $112,000. One foreclosure/preforeclosure units are currently under contract, down 0% from February. If you would like to be added to the foreclosure properties email notification list and the Lake Norman area “Best Buy” list please visit our Lake Norman foreclosure website LakeNormanForeclosure.com. If you need help stopping foreclosure on your Lake Norman property please give us a call at 866-LakeNorman. At the end of February 2012 there were 55 foreclosure, preforeclosure & short-sale properties listed in the Lake Norman area, a 15.4% decrease from the 65 foreclosure, preforeclosure & short sale properties for sale in January. Prices range from $85,900 to $5,900,000 for a waterfront home in Mooresville. 14 foreclosure/short sale homes closed in February 2012. This was an decrease of 6.7% from the 15 foreclosure and preforeclosure homes sold in January. The average home sold was a 3 bedroom/2 bath with 2,147 square feet and an average sale price of $184,431. The average sales price decreased 19% from the previous months average sale price of $227,726. The average days on the market were 110, a 2 day decrease from January. At the end of January 2012 there were 65 foreclosure, preforeclosure & short-sale properties listed in the Lake Norman area, a 7.5% decrease from the 75 foreclosure, preforeclosure & short sale properties for sale in December 2011. Prices range from $75,000 to $5,900,000 for a waterfront home in Mooresville. 15 foreclosure/short sale homes closed in January 2012. This was an decrease of 37.5% from the 24 foreclosure and preforeclosure homes sold in December 2011. The average home sold was a 3 bedroom/2 bath with 2,338 square feet and an average sale price of $227,726. The average sales price decreased 37.5% from the previous months average sale price of $364,454. The average days on the market were 112, a 67 day decrease from December 2011. At the end of December 2011 there were 75 foreclosure, preforeclosure & short-sale properties listed in the Lake Norman area, a 20% decrease from the 94 foreclosure, preforeclosure & short sale properties for sale in November 2011. Prices range from $75,000 to $5,900,000 for a waterfront home in Mooresville. 24 foreclosure/short sale homes closed in December 2011. This was an increase of 14.3% from the 21 foreclosure homes sold in November 2011. The average home sold was a 3 bedroom/3 bath with 2,857 square feet and an average sale price of $364,454. The average sales price increased 13.9% from the previous months average sale price of $319,985. The average days on the market were 179, a 58 day decrease from November 2011. At the end of November 2011 there were 94 foreclosure, preforeclosure & short-sale properties listed in the Lake Norman area, a 21% decrease from the 119 foreclosure, preforeclosure & short sale properties for sale in October 2011. Prices range from $69,000 to $8,000,000 for a waterfront home in Mooresville. 21 foreclosure/short sale homes closed in November 2011. This was an increase of 40% from the 15 foreclosure homes sold in October 2011. The average home sold was a 3 bedroom/3 bath with 2,832 square feet and an average sale price of $319,985. The average sales price increased 1.5% from the previous months average sale price of $315,244. The average days on the market were 121, a 61 day decrease from October 2011. At the end of October 2011 there were 119 foreclosure, preforeclosure & short-sale properties listed in the Lake Norman area, a 3.5% increase from the 115 foreclosure, preforeclosure & short sale properties for sale in September 2011. Prices range from $62,400 to $8,000,000 for a waterfront home in Mooresville. 15 foreclosure/short sale homes closed in October 2011. This was an increase of 66.7% from the 9 foreclosure homes sold in September 2011. The average home sold was a 3 bedroom/3 bath with 3,112 square feet and an average sale price of $315,244. The average sales price increased 30.6% from the previous months average sale price of $241,421. The average days on the market were 182, a 3 day decrease from September 2011. At the end of September 2011 there were 115 foreclosure, preforeclosure & short-sale properties listed in the Lake Norman area, an 8.7% decrease from the 126 foreclosure, preforeclosure & short sale properties for sale in August 2011. Prices range from $41,800 to $8,000,000 for a waterfront home in Mooresville. 9 foreclosure/short sale homes closed in September 2011. This was a decrease of 52.6% from the 19 foreclosure homes sold in August 2011. The average home sold was a 3 bedroom/2 bath with 2,816 square feet and an average sale price of $241,421. The average sales price decreased 26.7% from the previous months average sale price of $329,563. The average days on the market were 185, a 50 day increase from August 2011. At the end of August 2011 there were 126 foreclosure, preforeclosure & short-sale properties listed in the Lake Norman area, a 57.5% decrease from the 80 foreclosure, preforeclosure & short sale properties for sale in July 2011. Prices range from $25,000 to $8,000,000 for a waterfront home in Mooresville. 19 foreclosure/short sale homes closed in August 2011. This was a increase of 35.7% from the 14 foreclosure homes sold in July 2011. The average home sold was a 3 bedroom/3 bath with 3,129 square feet and an average sale price of $329,563. The average sales price decreased 23.2% from the previous months average sale price of $429,307. The average days on the market were 135, a 0 day decrease from July 2011. 32 foreclosure and short sale properties are currently under contract, a 33% increase from July 2011. At the end of August 2011 there were 11 foreclosure, preforeclosure & short-sale Lake Norman area condo/townhome properties listed, a 10% increase from the 10 foreclosure, preforeclosure & short-sale properties listed for sale in July 2011. Prices range from $89,900 to $295,000. The average unit is a 2 bed/2 bath with 1,146 square feet and an average list price of $182,445, up 9.3% from the July’s average list price of $166,970. Four foreclosure, preforeclosure or short-sale condos/townhomes sold in August 2011. This was an decrease of 400% from the zero foreclosure, preforeclosure or short-sale condos sold in July 2011. The average sales price in August was $123,000, up from the July average sales price of $0. Four foreclosure/preforeclosure units are currently under contract, up 33% from July. At the end of July 2011 there were 80 foreclosure, preforeclosure & short-sale properties listed in the Lake Norman area, a 23.8% decrease from the 105 foreclosure, preforeclosure & short sale properties for sale in June 2011. 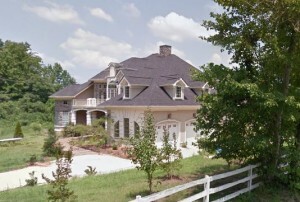 Prices range from $25,000 to $1,400,000 for a waterfront home in Mooresville. 14 foreclosure/short sale homes closed in July 2011. This was a decrease of 33% from the 21 foreclosure homes sold in June 2011. The average home sold was a 3 bedroom/3 bath with 3,402 square feet and an average sale price of $429,307. The average sales price increased 24.7% from the previous months average sale price of $344,223. The average days on the market were 135, an 18 day decrease from June 2011.